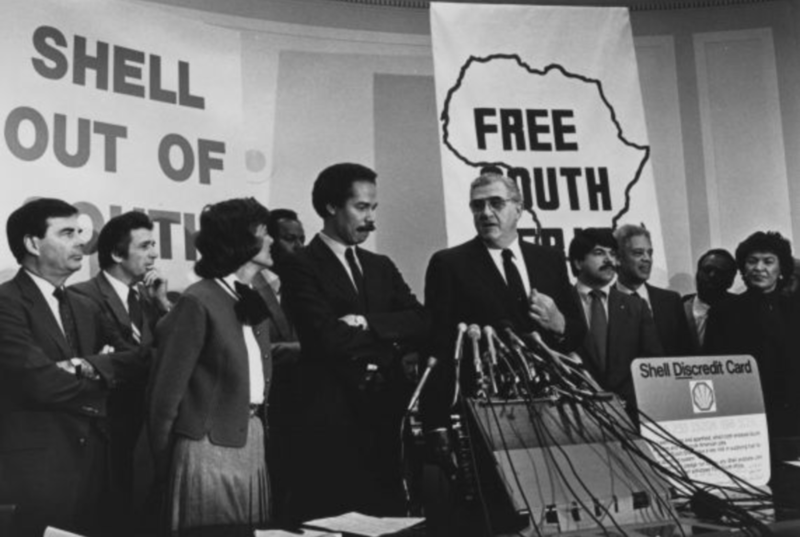 Founded in 1981 by activist Randall Robinson, TransAfrica was a lobby and forum for the collection, analysis and dissemination of information about Africa and the Caribbean, and U.S. policies affecting those regions. Under Robinson’s leadership, the organization notably impacted the release of Nelson Mandela from South African imprisonment, and the restoration of Jean-Bertrand Aristide to power in Haiti, only a tiny view of his global contributions. Satia Marshall Orange confirms the impact of truth to policy, sharing her work as the founding director of TransAfrica Forum’s Arthur R. Ashe, Jr. Foreign Policy Library. For its activism and documentation of the discriminatory practices of the United States’ policies towards African, Caribbean, and Latin-American people/places, the library served as an existential resource for librarians, archivists, policy analysts, and the public. The library’s 5,000 volumes may now be found at the Steve Biko Foundation in Zimbabwe, which focuses on translating global interest in the legacy of anti-apartheid activist Bantu Stephen Biko.